Sen. Susan Collins is planning to introduce a bill that would require the TSA to conduct a new, independent health study of the X-ray body scanners used to screen airline passengers for explosives at airports. Sen. Susan Collins, the top Republican on the homeland security committee, plans to introduce a bill in the coming days that would require a new health study of the X-ray body scanners used to screen airline passengers nationwide. The Transportation Security Administration began using the machines for routine screening in 2009 and sped up deployment after the so-called underwear bomber tried to blow up a plane on Christmas Day of that year. But the X-ray scanners have caused concerns because they emit low levels of ionizing radiation, a form of energy that has been shown to damage DNA and mutate genes, potentially leading to cancer. ProPublica and PBS NewsHour reported in November that the TSA had glossed over cancer concerns. Studies suggested that six or 100 airline passengers each year could develop cancer from the machines. The new bill drafted by Collins would require the TSA to choose an independent laboratory to measure the radiation emitted by a scanner currently in use at an airport checkpoint. The peer-reviewed study, to be submitted to Congress, would also evaluate the safety mechanisms on the machine and determine whether there are any biological signs of cellular damage caused by the scans. 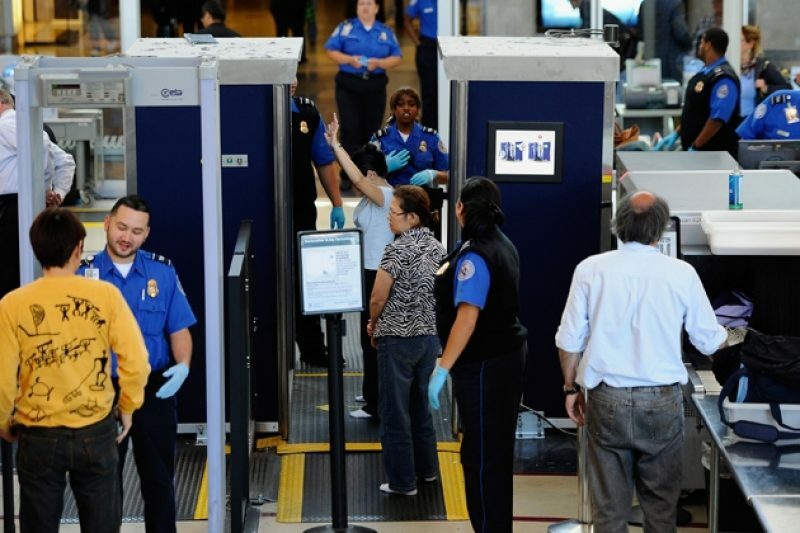 In addition, the bill would require the TSA to place prominent signs at the start of checkpoint lines informing travelers that they can request a physical pat-down instead of going through the scanner. Right now, the TSA has signs in front of the machines noting that passengers can opt out. But the signs mostly highlight the images created rather than possible health risks. The bill is the latest volley in a back-and-forth between Collins and the TSA. At a hearing in November, TSA administrator John Pistole agreed to a request from Sen. Collins to conduct a new independent health study. But a week later at another hearing, Pistole backed off the commitment citing a yet-to-be-released report on the machines by the Department of Homeland Security’s inspector general. The TSA uses two types of body scanners to screen passengers for explosives. The X-ray machines, known as backscatters, look like two refrigerator-size blue boxes and are used at Los Angeles, Chicago O’Hare, New York’s John F. Kennedy, and elsewhere. The other machine, which looks like a round glass booth, uses electromagnetic waves that have not been linked to any adverse health effects. Those machines are used at airports in Dallas and Atlanta, among others. The TSA says the radiation from the X-ray machines is minute, equivalent to that received in two minutes of flying at altitude. That measurement has been verified in previous tests by the Food and Drug Administration, the Johns Hopkins University Applied Physics Laboratory and the Army Public Health Command. “All the previous independent testing showed that the machines are well below the national standard,” TSA spokesman Greg Soule said. A group of vocal critics, primarily based at the University of California, San Francisco, has cast doubt on those tests, suggesting that the device used to measure the radiation isn’t equipped to provide accurate measurements on body scanners, among other flaws.